This is just perfect! 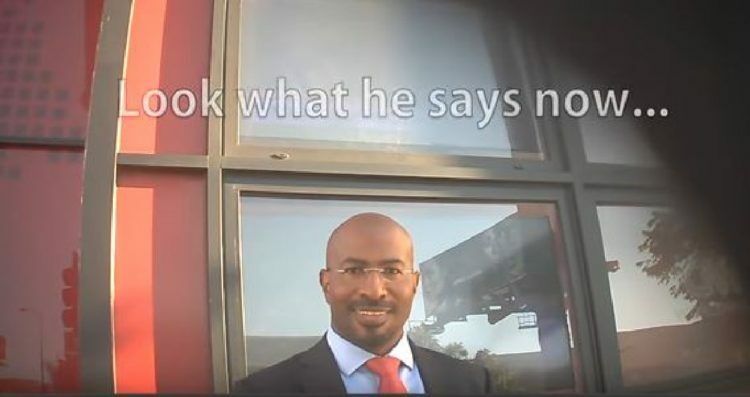 James O’Keefe and Project Veritas managed to get commie Van Jones on video stating that the whole Trump-Russia collusion mess is a big fat ole ‘Nothing Burger’. He’s friendly with the undercover journalist and must not have realized he was being recorded. It’s at such times that the unvarnished truth tends to leak out. After almost a year of digging on President Trump, the left has come up with exactly nothing. That hasn’t stopped them from pushing lies and making up fake news… See CNN, the American Pravda. James O’Keefe has been a thorn in the side of the dishonest left for a long time now. Oh, how they hate him, which makes us love him even more. Yesterday, Project Veritas treated us to a video starring CNN Producer John Bonifield, who has been with the media outlet for 15 years. His assessment of the whole Trump scandal was that it was pretty much bullsh*t. He also said that CNN CEO Jeff Zucker was telling everyone to hammer the Trump story above all else. CNN today released a statement that Bonifield is just a “Health Producer” and “isn’t involved in Russia or Trump coverage.” They didn’t give him his walking papers. Not yet anyway… but they sure tried to put him in his place. Now, we have this video where Barack Obama’s ex-Green Jobs Czar, Van Jones, bluntly states the truth that there is nothing to the story. But that’s not what he’s been saying on TV and on CNN. On December 18th, 2016, Van Jones said: “Other presidents tried to say nice things about the Russians – not in the face of an active attack on the country!” So, fib publicly, but admit the truth privately. Van Jones is one of CNN’s highest-profile political commentators and has previously attacked Trump over the “Putin relationship.” Now, that’s irony coming from a communist. Bonifield said all of this dust up is solely for ratings and that’s the same reason that Van Jones speaks out of both sides of his mouth. Telling the truth hurts CNN and doesn’t facilitate the radical left. The White House is making a big deal now of both videos and they should. I hope O’Keefe has much more coming that damns CNN and the media. They so richly deserve it. They have destroyed the credibility of the mainstream media and have instead turned it into a propaganda arm for the left. Bonifield also said that if there was anything definitive on Trump, they would already have it by now. Exactly right. And this is just the beginning. O’Keefe has vowed to go all out against the media and they are terrified that he might expose them further. It’s not just CNN either. Nice catch on the Van Jones quote… not surprising, but awesome nonetheless.